Good morning – I hope your week is getting off to a great start! I am a former officer of the US Army and it was a privilege to serve on active duty in the 9th Infantry Division – the “Old Reliables“. Being former Army, I enjoy watching the Military Channel and yesterday I was not feeling well, so I spent some time watching a show on the 101st Airborne Division’s offensive into southern Afghanistan in 2010 called “Dragon Strike”. 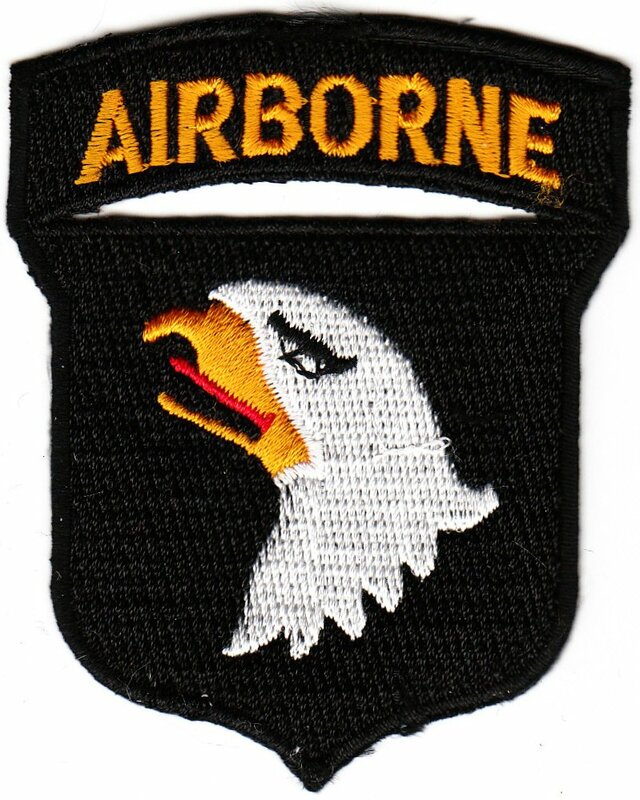 The 101st “Screaming Eagles” is one of the most famous units in the US Army. They are best known for their service in WWII, when surrounded by the Germans at Bastogne the Germans demanded their surrender. The response of General McAuliffe was one word – “Nuts!”. The 101st held and set the standard for the following generations of “Screaming Eagles“. In this episode, it was recounting the ambush of a small patrol by the Taliban in Afghanistan that was initiated by a suicide bomber on a motorcycle. The patrol was pinned down with one dead and several others seriously wounded. The patrol leader was wounded by the bomb blast, but took control of the situation and began directing the fire of his men. During this time, he started evacuating the wounded men at great risk to himself time and time again. Eventually all the wounded were taken to safety and reinforcements arrived causing the Taliban to break off. The patrol leader refused medical treatment until after all his men were treated. Once they started checking him out they found he had a ruptured spleen, a collapsed lung and a massive loss of blood. It took months for him to recover from his wounds. He later received the Distinguished Service Cross – our nation’s second highest honor. Part of the program was interviews of actual participants of the battle. One was the patrol leader. When asked about his actions, he simply stated that any one else in his unit in his place would do just the same. It’s just what you do. He also went on to say that when you serve, you do so with courage and sacrifice and that in courage and sacrifice is a kind of nobility. It’s the right thing to do. Fortunately, most of us have not had to endure combat. However, every day as a leader, you have opportunities – both large and small – to exhibit courage and sacrifice on the behalf of those you lead. And as the patrol leader said, there is certain nobility in doing so. At the end of my life I hope those words will be said of me.